Take-Away Box is a viable alternative to aluminum or plastic cups that are commonly used in delicatessens and restaurants. The basic element used to produce it is a multi-layer card of pure cellulose completely covered with a polyethylene film suitable for contact with food, which guarantees impermeability and protection. The film also allows the composition of the container through a mechanical process without using glue, staples or adhesives. 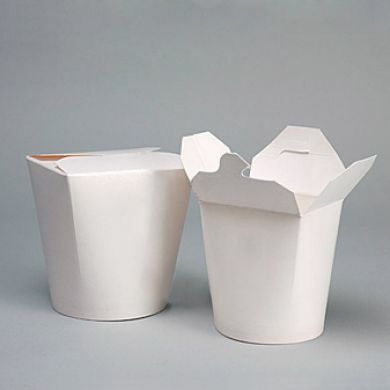 The "TakeAwayBox" is composed of a single sheet of cardboard polythene which is ingeniously folded to create a closed container where the cup and the cap are integrated. The main features of this product are the reduction of components and material and its complete recyclability.